The town of Springfield is shocked when Krusty announces his plans to retire from show business in the all-new “Clown in the Dumps” milestone season 26 premiere episode. 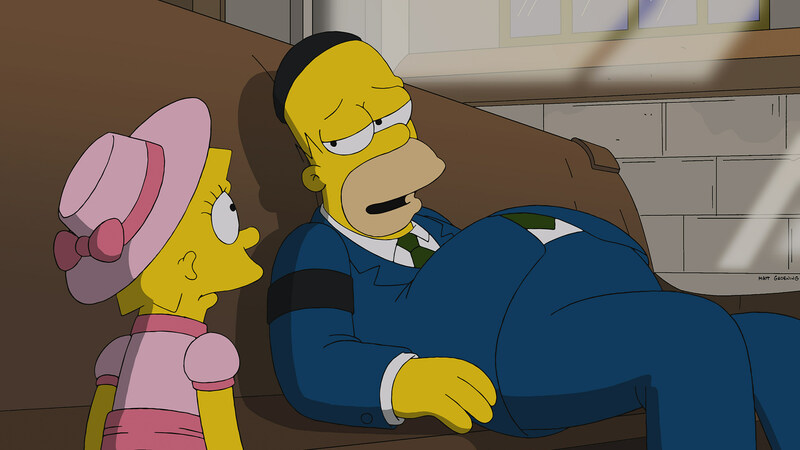 Lisa tries to protect her dad from hurting himself but Homer is less than cooperative in the all-new “Clown in the Dumps” milestone season 26 premiere episode. Krusty's decision to retire after he’s offended by a comedy cable channel roast of him, has dire consequences for one citizen of Springfield in the all-new “Clown in the Dumps” milestone season 26 premiere episode. 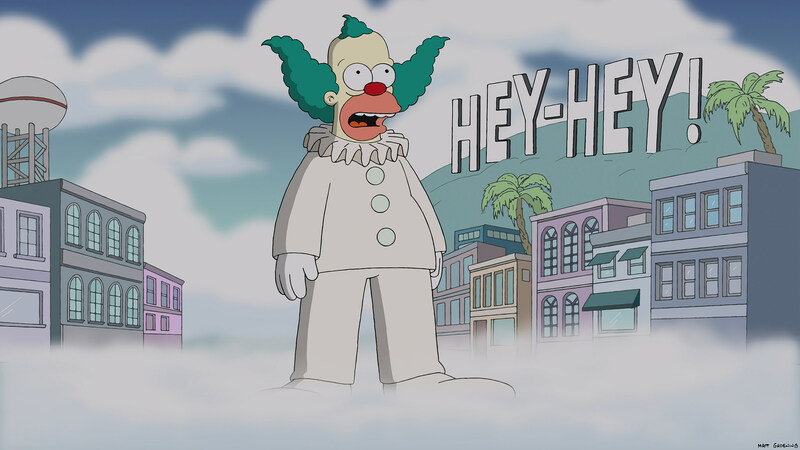 Granted, the images and description seemingly paint Krusty as an obvious red herring for the big character death, though we at least know that the Springfield citizen in question has been voiced by an Emmy-winner, awards of which Dan Castellaneta has won several. Whoever doesn't make it through the premiere at least, the coming weeks will at least lift our spirits with 'Futurama' guest stars Billy West, John DiMaggio, Katey Sagal, Phil LaMarr, Lauren Tom, Maurice LaMarche, and Tress MacNeille reprising their 31st century roles for "Simpsorama." 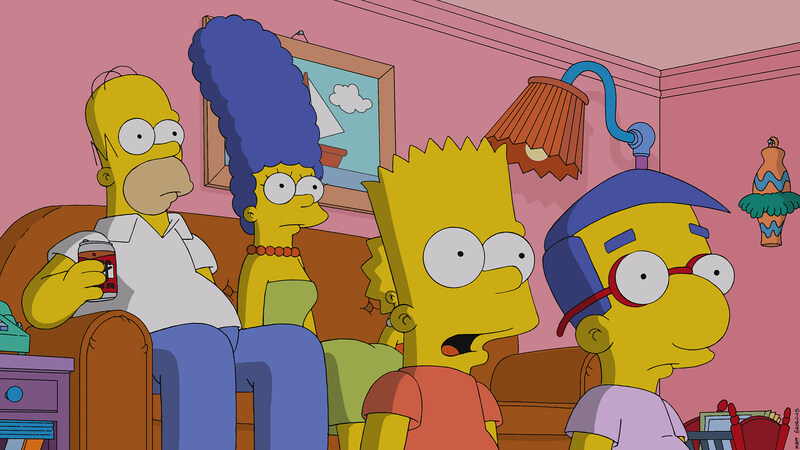 We've included the full set of photos from 'The Simpsons' deathly season 26 premiere below, but what do you think? 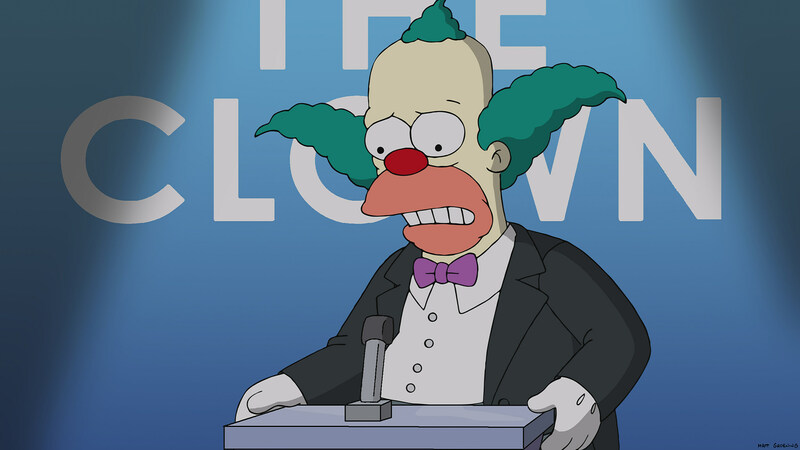 If not Krusty, which "Clown in the Dumps" do you think will bite the bullet when America (and FXX)'s favorite family returns on September 28?